Self care has become increasingly important to the NHS as it undergoes its most fundamental restructuring for many years. Budgets are becoming more difficult to manage in light of the increasing health burden caused by long-term conditions, an ageing population and conditions related to lifestyle choices such as smoking. Prevention of disease and increasing efforts to educate and support patients in managing their own health should be prioritised by all healthcare specialists. Self care has been defined by the Department of Health as “the care taken by individuals towards their own health and well-being — including the care extended to the family and the community”.1 The definition is broad and encompasses the actions required for people to maintain good physical and mental health, to meet their social and psychological needs and prevent illness or accidents. It extends beyond traditional concepts of self-management, which focus specifically on learning techniques to manage a health condition. According to the Proprietary Association of Great Britain, 90 per cent of people use over-the-counter medicines to manage minor conditions without going to their GP.2 In 2010, 973 million OTC medicine packs were sold — this compares with 1,028 million prescription items dispensed. GPs currently spend an hour a day (57 million consultations a year) seeing patients with minor conditions that could be self treated at an estimated annual cost to the NHS of £2bn (including GP consultation time and prescriptions).3 According to the Department of Health, 39 per cent of GP consultation time is spent treating patients who present with self-treatable minor ailments. Systematic reviews have examined the impact of self care programmes on several long-term conditions. However, the variety of interventions used, the differences in populations and follow-up and the different outcome measures used make it difficult to draw conclusions regarding the most effective form of self-management in COPD. These results were greater for children with moderate-to-severe asthma. Coronary heart disease outcomes can be improved with self care and the development of disease management programmes as seen in a recent systematic review of secondary prevention programmes.9 Patients reported enhanced quality of life or functional status; objective measures were also positive with reductions in the number of admissions to hospital and the cardiovascular risk profiles of the patient group. Interventions included patient education, rehabilitation and exercise, psychosocial support, appropriate consultations and co-ordination of home and community care. Five out of seven trials reported significant reduction in risk factors. In addition, five out of seven trials reported a significant increase in the prescribing of at least one effective medicine (ie, beta blockers, antiplatelet agents or statins). Further research is needed to determine effects on survival and recurrent infarction rates, as well as cost-effectiveness. Self care interventions typically involved teaching patients about blood glucose monitoring, glycaemic control, dietary habits and exercise. Patients should be able to manage minor ailments and long-term conditions at home or in the community with resources available to ensure that health and well-being is maintained after an acute illness or discharge from hospital. The DH has carried out several studies investigating public perception and practice of self care. It found that 82 per cent of those who have a long-term health condition state they play an active role in caring for the condition themselves and 87 per cent often treat minor illnesses themselves. Despite the potential benefits, there is evidence that healthcare professionals have yet to explore the potential of self care fully. In 2005, a national DH survey found that more than 50 per cent of patients who had seen a healthcare professional in the previous six months had not been encouraged to develop self care skills. Furthermore, one-third of patients said they had never received any advice regarding self care. It is uncertain what the state of play is at the moment but anecdotal evidence seems to suggest that the situation needs to improve significantly to ensure that self care advice is available universally. To achieve effective patient engagement with self care, healthcare professionals need to be able to share patient data more efficiently than current systems allow. All those involved with a patient’s care, whether community or hospital based, should be able to access relevant information about co-morbidities, allergies, drug history, previous interventions and blood test and imaging results. This will save time during consultations, help all healthcare professionals to follow the same care plan or guidelines (which is particularly difficult for patients with multiple co-morbidities who are under the care of several hospital consultants) and prevent duplication of work. One of the clinical commissioning groups in North London has begun using data sharing between hospitals and primary care for several long-term conditions (eg, heart failure, respiratory disease and diabetes) to enhance clinical consultations — with admirable results. The “did not attend” rate for appointments has fallen from 26 per cent in 2012 to 10 per cent in 2013. Appointments for elderly patients were arranged for community clinics, rather than at the hospital, to ease transport and access difficulties. 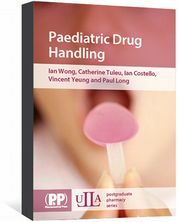 Each member of the multidisciplinary team provides an important service but difficulties in co-ordinating investigations and interventions persist. With a nominated lead clinician or nurse, conflicting opinions regarding management can be resolved without causing confusion and unnecessary medication changes or interventions. In addition, continuity of care enables the patient to develop a meaningful relationship with their clinical team and are more likely to engage with medication plans and behavioural changes. For example, although GPs may not have time during a consultation for a full discussion about the benefits of smoking cessation, they can initiate the conversation and refer the patient to a local pharmacist for smoking cessation support. Pharmacists trained in motivational interviewing will be able to encourage patients to review their behaviour and set realistic goals for behavioural change. The evidence available from a recent systematic review in the UK suggests that patient choices are influenced by anecdote and opinion, personal recommendations or previous experience by family and friends.4 Those most likely to engage with self care were affluent or educated. The targeted promotion of self care services, such as smoking cessation, to less affluent groups, ethnic minorities and socially isolated individuals may be necessary to achieve equitable use. The action plan for the NELLPC to embed self care as standard practice is strongly focused on improving patient outcomes. Actions include: creating a “pharmacy first” culture and promoting self care; ensuring patients get the best from their medicines and self care; integrating community pharmacy into patient pathways, including self care; and ensuring that medicines packaging and formulation are not barriers to effective self care. The plan emphasises the importance of self care in improving the management of chronic conditions to minimise hospital admissions and the benefits of effective multidisciplinary working. Community pharmacies have the potential to influence their local communities by promoting self care resources and providing the support for patients to develop the confidence in their care plans. Amisha Patel is assistant auditor at the National Audit Office. Hemant Patel, FRPharmS, is secretary at North East London Local Pharmaceutical Committee. 1 Department of Health. Self care — a real choice: self care support – a practical option. January 2005. Available at: www.nationalarchives.gov.uk/webarchive (accessed 26 April 2014). 2 The Proprietary Association of Great Britain. Get Well, Feel Well and Stay Well: A vision for self care in the United Kingdom. 2011. 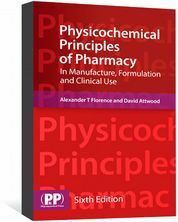 Available at: www.pagb.co.uk (accessed 26 April 2014). 3. The Proprietary Association of Great Britain. The campaign for real self care. 2010. 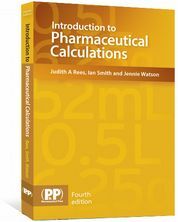 Available at: www.pagb.co.uk (accessed 26 April 2014). 4. Ryan A, Wilson S, Taylor A et al. Factors associated with self-care activities among adults in the United Kingdom: a systematic review. 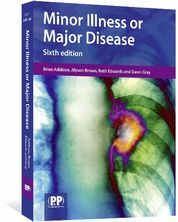 BMC Public Health 2009;9:96. 5. Protheroe J, Rogers A, Kennedy AP et al. Promoting patient engagement with self-management support information: qualitative meta-synthesis of processes influencing uptake. Implementation Science 2008;3:44. 6. Eakin EG, Bull SS, Glasgow RE et al. Reaching those most in need: a review of diabetes self-management interventions in disadvantaged populations. Diabetes/Metabolism Research and Reviews 2002;18:26–35. 7. Zwerink M, Brusse-Keizer M, van der Valk PDLPM et al. Self management for patients with chronic obstructive pulmonary disease. Cochrane Database of Systematic Reviews 2014, Issue 3. 8. Wolf F, Guevara JP, Grum CM et al. Educational interventions for asthma in children. Cochrane Database of Systematic Reviews 2003, Issue 1. 9. McAlister FA, Lawson FM, Teo KK et al. Randomised trials of secondary prevention programmes in coronary heart disease: systematic review. 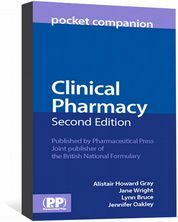 BMJ 2001;323:957. 10. Eakin EG, Bull SS, Glasgow RE et al. Reaching those most in need: a review of diabetes self-management interventions in disadvantaged populations. Diabetes/Metabolism Research and Reviews 2002;18:26–35. 11. Fries JF, Carey C, McShane DJ. Patient education in arthritis: randomised controlled trial of a mail-delivered program. Journal of Rheumatology 1997;24:1378–83. 12. Huxley NA, Parikh SV, Baldessarini RJ. Effectiveness of psychosocial treatments in bipolar disorder: state of the evidence. Harvard Review of Psychiatry 2000;8:126–40.